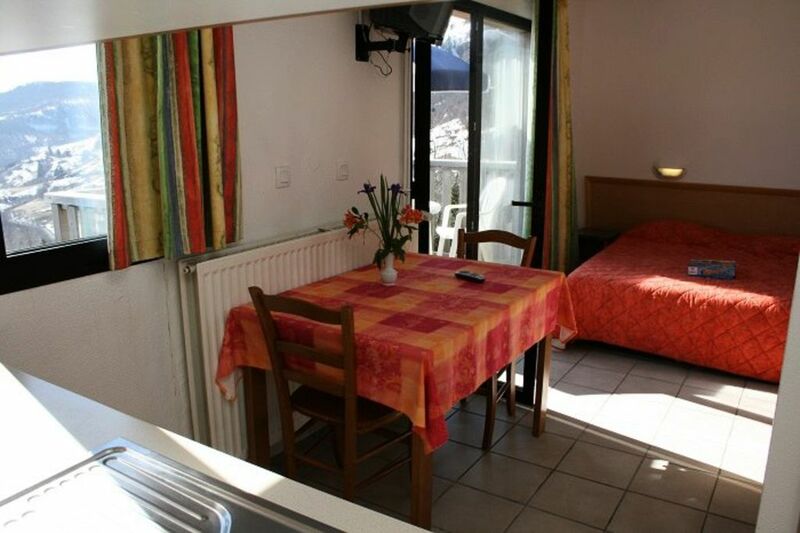 From about 29m, pleasant, well equipped, bed linen included, functional, comfortable, balcony with garden furniture. Located 2 km from the resort of Lioran, VVF Villages The Monts du Cantal consists of a building of 4 wings with wooded facades, comprising 80 apartments. An ideal starting point for many hikes and activities in the heart of nature in the Regional Natural Park of Auvergne Volcanoes. Enjoy the heated outdoor pool of the village and its leisure facilities with its library and play area with table football and billiards *. For your children, an outdoor playground and for older children, a disco will allow them to spend friendly and secure evenings in the establishment. In the immediate vicinity, at VVF Village Haut du Roy ***, you will have at your disposal the fitness area & nbsp; which includes a heated indoor pool, a steam room, sauna, and a fitness room. During the day, diversified activities focused on discovery: walks or hikes, tourist trips, sports activities, manual activities and workshops. At the end of the afternoon friendly and fun meetings (examples: karaoke, village dance, sports tournaments, local bistro entertainment ...) are organized, as well as family evenings (examples: games, dancing, regional or themed meal, show evenings ...). Mountain Club: in the volume of the animation program are planned: 4 1/2 days + 1 full day of hiking supervised by mountain professionals. You will find tips and hiking routes in the discovery area. Perfect your stay as you please by discovering the riches of the region, between space of freedom in the heart of the largest volcano in Europe, gourmet invitation with the AOC cheese road Auvergne and hiking to enjoy the Puy Mary, volcano carved in Pyramid shape offering one of the most beautiful panoramas of France. Not to mention the various sports activities passable: mountain biking, canyoning, climbing and via ferrata, paragliding, adventure park in the forest, déval'luge, sled dogs (wheeled), play area (trampoline, inflatable structures), ice rink, mini golf and tennis courts (at the resort). It consists of a living-room with 2 single beds, a bedroom with 2 single beds, a fully equipped kitchen area and a shower room and separate toilet. Possibility to add a cot in each room. Note: Some of these accommodations are suitable for people with reduced mobility. Subject to availability, please contact us. The kitchen area is equipped with 2 electric hotplates, a fridge "table top", a coffee maker, a pressure cooker and a mini-oven. To know: Bed linen is included in winter. Fitness area: in Hauts du Roy - free access from 9h to 19h - free - swimming pool (from 17/12 to 25/03), steam room, fitness room and sauna. Animation program. From Paris: by the motorway A71 & A75 (free) - Exit Massiac. 535 km including 480 km of expressways. 5:00 Time about. From Montpellier by A75 motorway (free) and the Millau Viaduct (fee) Exit Saint-Flour. 275 km including 206 on expressways. Duration: 3:00 approximately.